Indonesia is an incredible country spread over almost 2 million square miles and 3 time zones. This nation is made up of over 17,000 islands and countless tribes, languages, and customs. Indonesia as a country should definitely be on your travel bucket list, and if it isn’t we’re sure it will be after you read this article. We’re going to give you some ideas of where to visit with the top 5 places in Indonesia that should be on your travel bucket list. 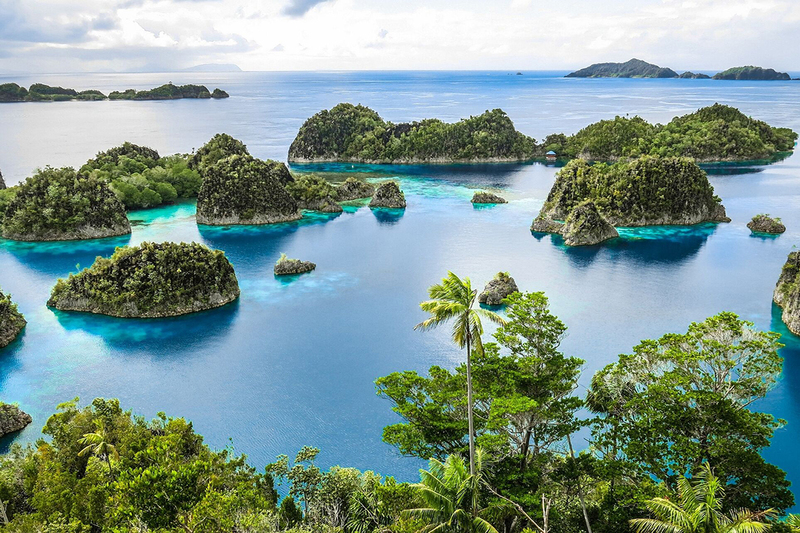 Raja Ampat is often said to be the jewel in Indonesia’s crown. Made up of four main islands of Misool, Salawati, Batanta, and Waigeo, and hundreds of other smaller islands, this archipelago contains some of the richest marine biodiversity on earth. 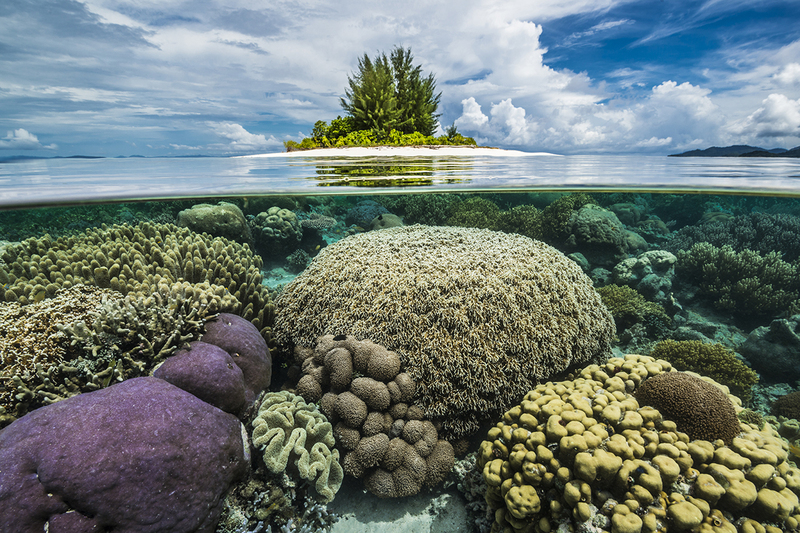 With 1,508 fish species, 537 coral species – this is 75% of all species that exist in the world, and 699 mollusk species, the variety of marine life is absolutely breathtaking. If you are a diver and Raja Ampat isn’t yet on your bucket list, get it on there now! Of course non-divers will be blown away by the islands as well. With jungle hikes to waterfalls, dawn bird watching for endemic birds of paradise, snorkeling under your over-water bungalow, and climbing to viewpoints with sights straight out of your dreams, you don’t have to dive to fall in love with Raja Ampat. This temple is one of the largest Buddhist monuments in the world…and you may not have ever heard of it before. Built in the 9th century during the Sailendra Dynasty, it’s right up there with Angkor Wat in Cambodia as one of the great archeological sites of Asia and in many archeologist’s opinions, the world. Located in Central Java, close to the city of Yogyakarta, Borobudur is made up of nine stacked platforms topped by a central dome. You can climb the platforms to admire the 2,672 beautifully carved panels and 504 Buddha statues that adorn the structure. At the top you’ll find 72 Buddha statues in their own stupas surrounding the central dome. 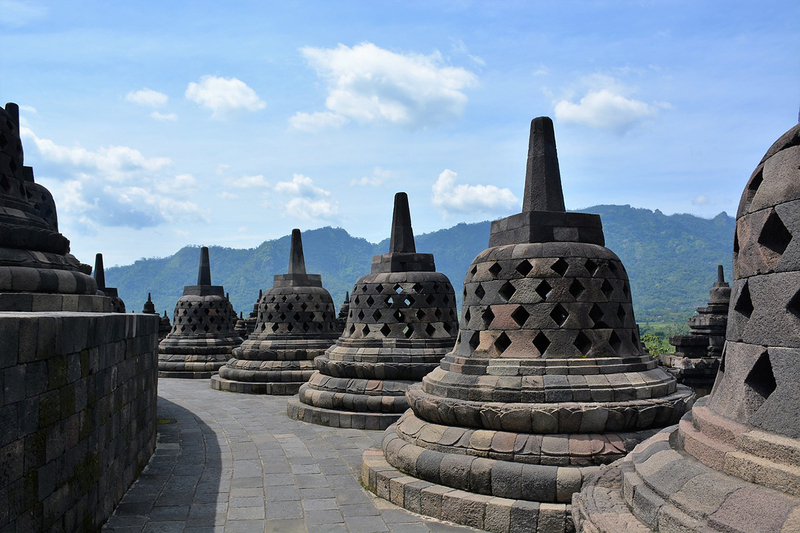 Now a UNESCO World Heritage Site, Borobudur is the single most visited tourist attraction in Indonesia. The Island of the Gods is on just about everyone’s bucket list and for good reason. 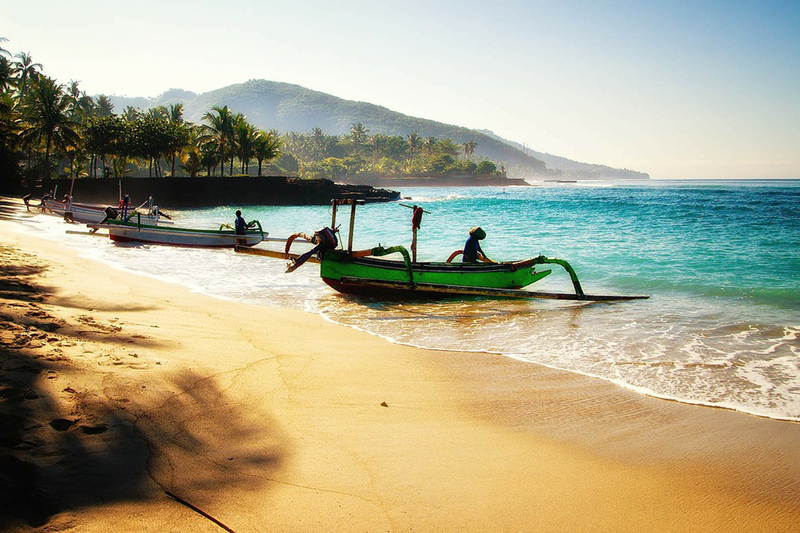 Not only lush, tropical, and surrounded by beautiful beaches and clear blue water, Bali is also very rich in culture. In a country of 261 million people, this island of 4 million is around 85% Hindu. In the streets you’ll see brightly coloured offerings, hear the music of the gamelan orchestras coming from temples, and meet processions of villagers in the roads. Beautifully decorated temples are everywhere you look and you’re likely to be invited along to ceremonies by the wonderful Balinese people. 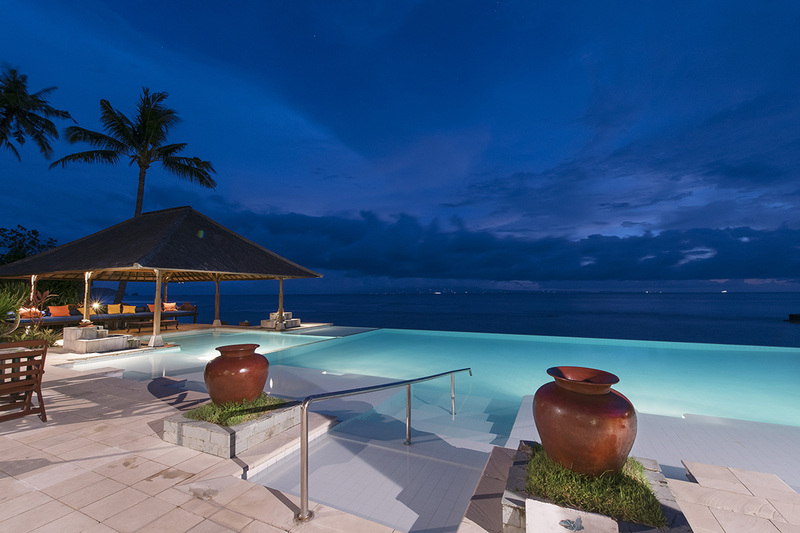 Apart from the culture, surfers, scuba divers, snorkelers and luxury travelers find paradise on Bali thanks to the wide variety of accommodation, activities and budget options. How can these 3 little islands be so very enticing to travelers? 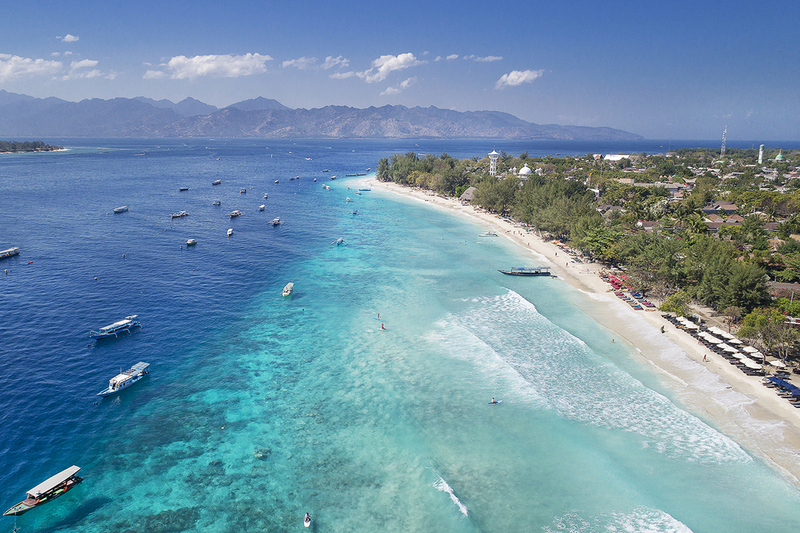 The islands of Gili Trawangan, Meno, and Air have become more developed over the past 10 years but they still offer that paradise island getaway vibe so many travelers are searching for. With no motorized traffic, these islands have become a mecca for backpackers, honeymooners and families looking to get away from the rat race and just chill. The beaches are coated in soft white sand, the water calm and turquoise, and the island pathways perfect for walking or riding bicycles wherever you’re going. 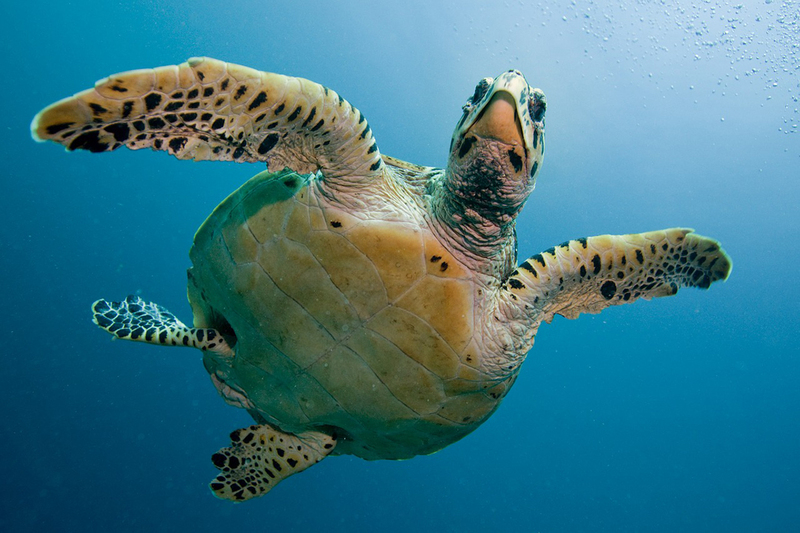 Divers will find over 25 dive sites within just a few minutes boat ride from the islands, and snorkelers can float their days away with sea turtles just offshore. The Gilis offer the perfect combo of fun, excitement, and relaxation and only 2 hours by fast boat from Bali. 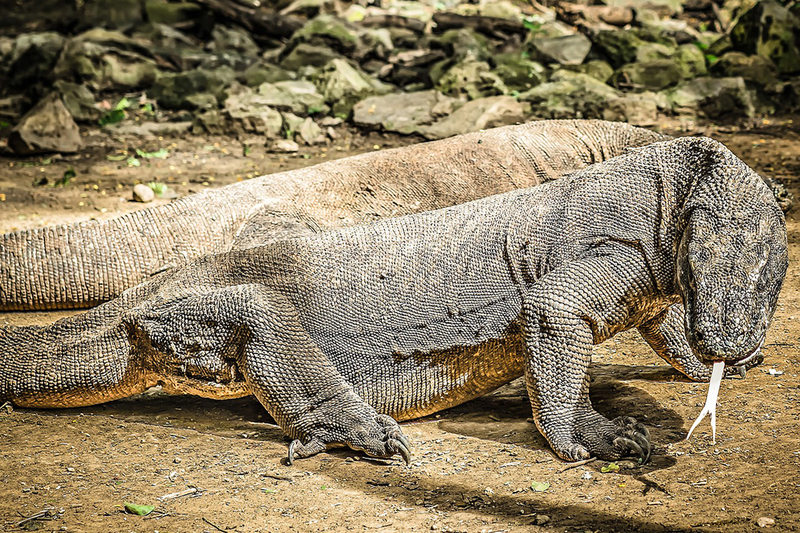 Encompassing the islands of Komodo, Rinca and a number of smaller islets, this is the home of the fierce Komodo dragons. These world famous carnivorous lizards can reach up to 3 metres long and roam freely on the islands. A guide will take you safely to see these impressive creatures in their natural habitat. To visit this national park you will need to fly to the city of Labuan Bajo on the island of Flores and book either a day trip or liveaboard boat that explores the area. It also happens that there is world-class scuba diving here so combining the 2 experiences is a great option. Have you added to your bucket list? These are just 5 of the hundreds of incredible places you need to visit in Indonesia. Have you added any of them to your bucket list? Or maybe they were already on there…let us know in the comments.